This week we celebrated Independence Day, the 236th birthday of the United States of America. 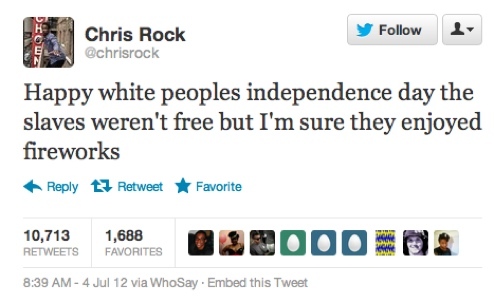 Chris Rock stirred up some controversy by tweeting that Independence Day is a white American holiday because slaves were not free at the time the founding fathers declared independence from England. Some folks did not like that. It reminds me of all the flack that our now First Lady, Michelle Obama, received when she made the comment, “For the first time in my adult life, I am really proud of my country…”during the 2008 campaign. As a black American, I totally understand both statements. Personally, I think that others, including the majority folk, understand the statements as well, but some people insist on stirring up drama and controversy. Some people insist on questioning the patriotism of black Americans. This week I went on a field trip to a nearby plantation museum to learn about its history. I went with colleagues from my department and of course, I was the only black and not a native of this particular state. Not everyone in our group was native to the state, but most of them were in awe of what was shared. They were beaming with pride about the close connection to the formation of this great nation. Me…I was not all that impressed. I appreciate learning about the history of my country and the state I now reside in. However, the mere fact that I was on a plantation…just saying the term plantation stirs up a lot of emotions in black folk. To our museum guide’s credit, she talked about the slaves that worked on the plantation and even the leaders that were actively involved in the slave trade as well as those that believed in emancipation and even the failed attempt to send blacks back to Africa. She talked about it quite a bit, to a point that I wondered if she shared that level of information simply because I was in the group. I’m skeptical that she normally shares that level of detail. Or maybe she sensed that I was not all that impressed because I was thinking during the tour that the success of these men was made on the backs of slaves. The success of this country was made on the backs of slaves. This country is great in large part due to oppression. This country is great because people have manipulated, abused, and even stole from others in this country. It is kind of hard to get excited about a country that treated my ancestors like animals and property. It is kind of hard to get excited about a country that had legalized institutional racism and discrimination. It is kind of hard to get excited about a country that allowed majority folk to murder/lynch people that looked like me just because. It’s kind of hard to get excited about a country where in the unlikely event of a formal charge that those who perpetrate crimes against people that look like me are acquitted. It is kind of hard to get excited about a country when the first black President is disrespected and obstructed on every turn. It is kind of hard to get excited about a country when it seems like we are reliving the past because we have to fight in 2012 to protect our voting rights. 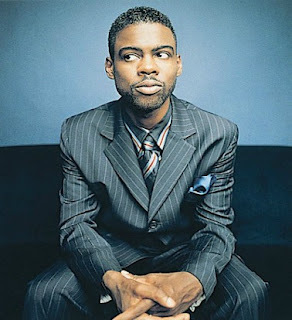 It is kind of hard to get excited about a country that declared independence on July 2, 1776, as Chris Rock stated, but that declaration did not apply to people that looked like me. It is kind of hard to not continue this list because the number of atrocities committed toward people that look like me are too great to list and if I included the atrocities perpetrated towards other populations…Lord have mercy!! Yet is our America. Lisa Ling hosts a show on OWN called Our America. While I have not watched a full episode yet, I appreciate the concept of the show because it examines the good and the bad; all of the contradictions of our great country. Yet it is our America. We die for this country. I think it is safe to say that most of us are not itching to move back to Africa or some other country. We want to be here. We are proud to be an American. I can recall a young lady stating how pissed off she was when the shoe was thrown at President George W. Bush, because he was still her president even though she didn’t vote for him. I don’t know about you but in a few weeks at the 2012 Olympic Games in London, I will cheer loudly for Team USA. All of the athletes, including those that look like me, are proud to represent our great nation; all will likely cry should they get to the top of medal stand and hear the Star Spangled Banner (you know they should play the beloved Whitney Houston rendition. If any of you readers have connections, how about trying to hook that up? J). To conclude this essay, I would just like to share that my American pride became more evident when I traveled outside of the country. It wasn’t because of a lack of pride before, it just seemed like the citizenship aspect of my identity came more into focus. I was excited to hear someone else speak English but even more elated to meet a fellow American. When I returned home to the States, I wanted to know more about this place. I wanted see more of this place. For all of its flaws and contradictions, the United States of America is MY home. While it is kind of hard to get excited about a country that has done my people wrong, it is even harder not to be proud of something that is mine.